Remember those rolls they used to make in the cafeteria at lunch? Yes, once upon a time cafeterias in schools were used for cooking, not just heating up. The rolls were always served with the special Thanksgiving lunch, my favorite school lunch of the year! I loved those big fluffy white rolls… If you don’t know what I’m talking about your mom does. Today, I’m sharing a recipe from the bakers at King Arthur Flour for Big Fluffy Pan Dinner Rolls. 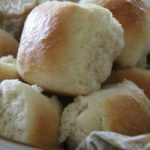 I tried this roll recipe out with Sunday dinner recently. Although there were only 5 of us at the dinner, every single roll disappeared (I halved the batch). That’s a good roll! Make sure to follow along on Instagram for tips and ideas for your holiday meals! You can place the rolls into any of the following pans, well greased or lined with parchment paper: One half-sheet baking pan or 2 quarter-sheet pans. Two 13" x 9" x 2" pans. Four 8" or 9" round baking pans OR a combination of any of these pans. They look a little like the Maddox roll. I wonder if they're close in texture. These look a little like the famous Maddox rolls. I think I'll try them and see how they compare. Thanks for posting. These are different than the Maddox rolls, quite a bit more dense. I do have the Maddox roll recipe on this blog, search on the homepage right side under search this blog! Thanks for reading ABK! 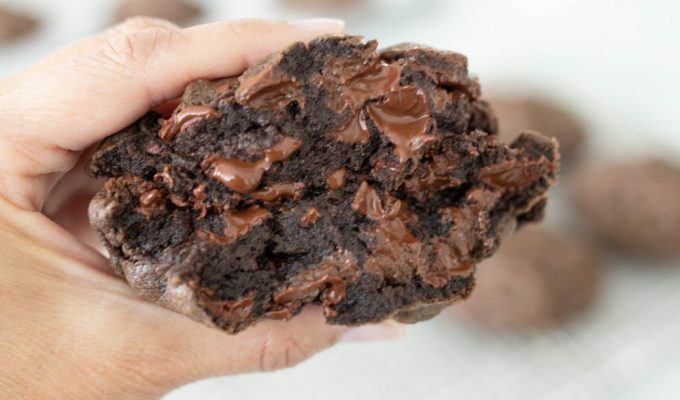 Is the butter melted in the first step? Speaking of "Christmas for 50," I have a party I'm to bring 6 dozen homemade rolls to. These feel like the ticket versus usual go to. I'm going to try your half recipe idea for Sunday dinner to get the kinks out and I'll be good to go in December:) …she shoots, she scores! Tess, Those were the days!! !